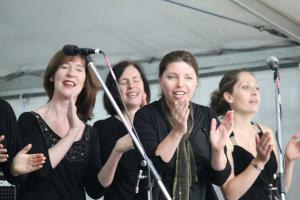 The Honeybees' first performances for 2008 were at the National Folk Festival in Canberra over the Easter weekend in late March. 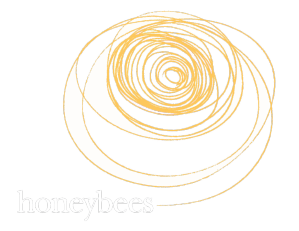 About 25 of The Bees performed two sets in contrasting venues. On Saturday afternoon we sang in the open air to a mixture of seated audience and passing traffic - many of whom stopped for a listen. Sunday morning saw us in the 'Merry Muse' tent with full microphone set up and a more formal audience - though once again many people stopped to listen to us at the tent entrances. Our first Open Night for 2008 was on Tuesday 8th April at St Mary's Church, Erskineville. Around 25 friends and interested people came along and joined 20 or so Bees members and enjoyed a short performance and then joined in such songs as How I Got Over, Standin' On That Rocky Land & Welcome Table. 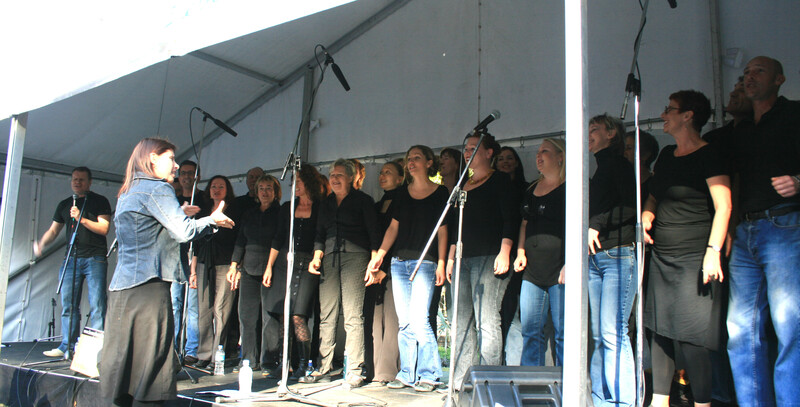 On a picture perfect autumnal day in early May 2008 we performed at the Kings Cross Food & Wine Festival. A number of the Bees away for this gig - including Dynes Austin, our Musical Director - so JJ ably led us. We performed a set of 7 songs in front of about 500 enthusiastic locals (and many more milling around) including Up the Ladder, Didn't it Rain, Higher Ground, Let the Fire Burn & Thunder Don't Roll. We also sang two songs with our friends from the Sydney Street Choir - The Storm is Passing Over & Perfect Day. 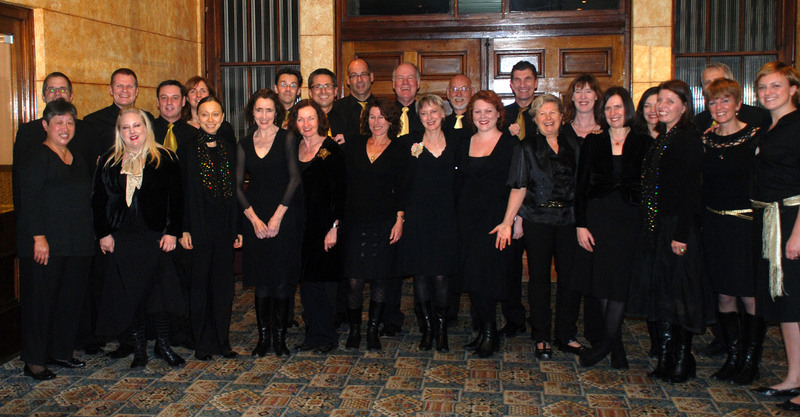 On the evening of Saturday May 10th, The Honeybees were the guest performers for the Sydney Pop Choir concert held in the Petersham Town Hall. The Bees sang two shorts sets of 6 songs plus led the audiance participation song Standin On That Rocky Land and two combined choir songs - Freedom Train & How I Got Over. In late May The Bees performed a short set at the Red Cross Service of Remembrance for families of organ donors and transplant recipients at The Wesley Centre in Pitt St, Sydney. The Red Cross chose songs from our repertoire that they felt would engender a particular connection with people attending and these were Precious Lord, Let the Fire Burn & Shine. 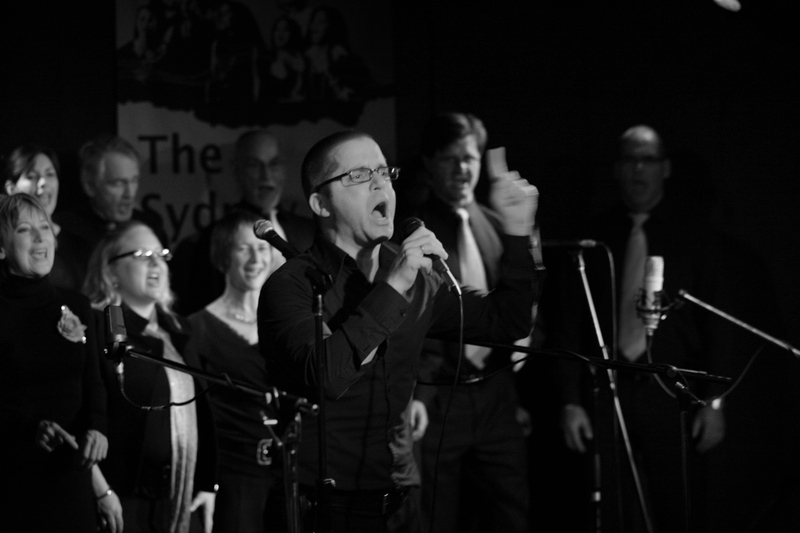 In early August a small band of some 20 Bees performed in chilly Canberra as guests of The Strange Weather Gospel Choir. Also singing were the ABC 666 Community Choir. The 400 or so members of the audience at the Canberra Girls Grammar School auditorium enjoyed sets from each of the choirs and a finale of the three combined choirs. With over 200 singers on stage in full voice, these songs raised the roof! They included a new mix of Ride on King Jesus as well as How I Got Over & The Fire Keeps on Burning. The Bees two sets included Didn't it Rain, Up The Ladder, Get Away Jordan, I Love The Lord & Change. Late August saw The Bees perfom a short set at the Canterbury Public School fete to assist in raising funds for the school's needs. The performance included Change, Oh Happy Day!, Get Away, Let the Fire Burn & How I Got Over. September 12th saw The Bees perform as one of the acts at the Sydney A Cappella Festival 2008 in the Sound Lounge at the Seymour Centre in Chippendale. Following Double Shot, Alchemy & Kaya, the Bees sang a 7-song set to great acclaim including How I got Over, Shine, I Love the Lord & the first public performance of One More Sunny Day. A number of the 29 strong Bees contingent made their first performance. "I had a nice time at the concert at the crowle hall last night. i liked the singing. thankyou to the lady with the glasses who danced and sang with me at the end of the concert."